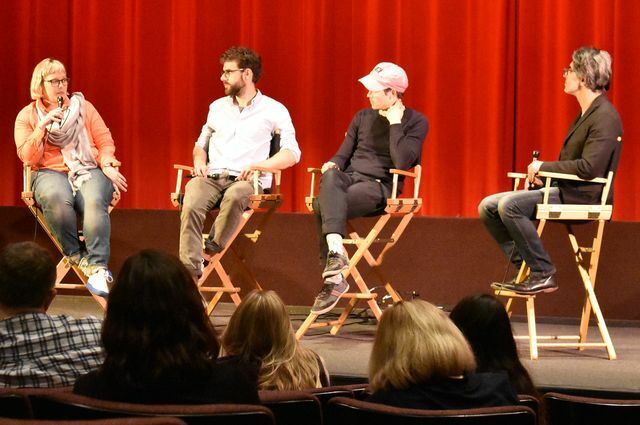 From left: Sarah T. Roberts, UCLA professor, filmmakers Moritz Riesewieck and Hans Block, and David Tenenbaum, founder of The Veteran Narrative and CEO of Honor Media. The road to a documentary about the people who monitor what content appears on the internet began for German filmmakers Hans Block and Moritz Riesewieck with UCLA assistant professor of information studies Sarah T. Roberts. They had noticed that a 2013 video of child abuse was shared on Facebook and it received 13,000 views and 4,000 likes. That got them wondering: How did this video even make it onto the world’s largest social media platform? Who makes the decision to approve or disapprove? Do humans make the judgment or an algorithm? Their search for answers led Block and Riesewieck to Roberts, one of the world’s pre-eminent experts when it comes to studying the questions raised by the filmmakers. Roberts even coined the term “commercial content moderation” to describe the work of the often anonymous people who screen posts — of what can be extremely violent and disturbing images — prior to publication on social media platforms. 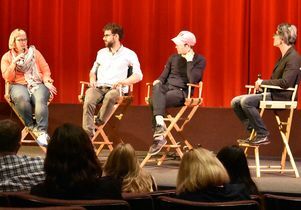 “Sarah was actually the starting point for this film,” said Riesewieck during the Q&A that followed a screening of the documentary “The Cleaners,” held Nov. 6 as part of the UCLA Graduate Students Association’s “Melnitz Movies” series. Riesewieck, Block and Roberts were joined by David Tenenbaum, founder of The Veteran Narrative and CEO of Honor Media, who moderated the discussion. “I mean that literally, because it was Sarah’s academic groundbreaking work about this topic which made us aware that there are humans actually responsible for what is deleted and what is kept on social media,” Riesewieck told the audience of about 150 people. During the Q&A, Roberts addressed the question of using automation for content moderation, and said that the nature of the content requires the reasoning of the human brain. She pointed to the Philippines as one of the main spots for CCM, and the history of colonial labor that has manifested itself in this industry. “The Cleaners” premiered on the PBS show “Independent Lens” on Nov. 12 and is available to stream.